Thanks Magento2X ‘s customers who joined and provided the review information for our survey about magento hosting. Our Top 3 Best Magento Hosting Award Winning 2014 base on 357 emails what sent out to our customers and we got 187 reviews. 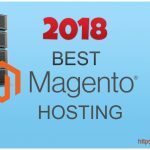 It is not too many but good enough to vote for people to choose the right magento hosting what make the most our customers happy. 100% server is designed, set up and optimized for magento to make sure it work smooth and reliable for ecommerce site. SiteGround always give us a peace in mind when using their service. Other than that, the best ecommerce security hosting and the auto back up feature will help us are always safe with any attack. With SiteGround we can make sure we are safe and work fast with magento server speed optimization. The ticket support time take you average 7 minutes to response, that ‘s really nice too. In the most case, it ‘s easy to accept the ticket response time in 24 hours but here it take you 7 minutes, it ‘s more than best. And of course, it take no time with phone support. 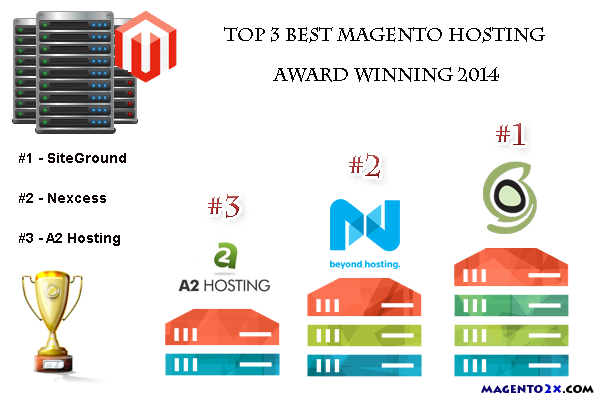 I think SiteGround is deserved as top #1 in Magento hosting because of the Supercacher. SuperCacher is the unique feature what is only supported by SiteGround include the combination of caching and performance tools such as Memcached, Google Speed, Static Cache, Varnish Cache… what can help the magento faster very much. 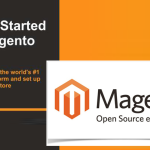 If you already used magento you will understand why the hosting problem is one of the important issues of magento site owner. You will try to do a lot of ways for caching configuration, move session to faster cache (like memcached or redis), or full page cache solution. 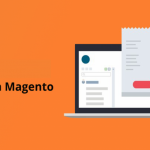 Here with A2 Hosting it will help you get the fast feeling in the first time you install magento without any cache configuration. Because they are using SSDs (Solid State Drive) what can increase the Disk speed 300% what help us a lot to make our magento site work fast. Almost our customers who vote for Nexcess have the magento site more than 500 products. We can understand why because Nexcess design server to work with high load and high traffic. 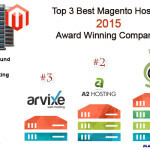 I think they are expert in this field, it ‘s easy to understand why they are in top #3 of our list Top 3 Best Magento Hosting. In another word, we can say Nexcess as Magento Hosting Leading for years, but still if you don’t have too many products, the Nexcess price/month is too expensive for you, that ‘s why many people don’t vote Nexcess. But if you own the magento shop with more than 500 products or traffic more than 20k/days visits, Nexcess is a perfect choice for you in their big hosting plan from SIP 200. Thanks, it ‘s really helpful for our article. You are right, wp2x. Less than 5k visits, we don’t need to buy VPS or server. I think the magento hosting need a cache solution and only the first one in your list support cache. I don’t think 2 remain hosting companies will provide the good service for magento. Thanks for comment, Jenifer. But if you look at the second option (Nexcess), they also got memcached in their hosting package. Thanks Simon, you can check the article speed up magento in this time, we will try to publish the tutorial you request soon. 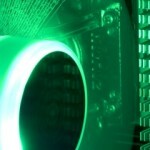 For a best magento hosting, what do your think the different from redis and memcached? I hear from many people that redis ‘s faster than memcached but it ‘s difficult to find out the hosting company who support redis. Redis cache would be better for the source code base on Zend Framework and you see, Magento base on Zend Framework, that ‘s why people think it work faster with redis. But base on our experience, they work the same speed, at least not too much different for traffic site under 20K visits/day. Yes, I think you are right, I got the chat confirm from them about that. And I think it ‘s really nice choice to save money. But it ‘s slow even though it work. To me, SiteGround still faster a lot. Does anyone here try Nexcess? “Award winning” ?? Really? Could you point me to the link that is giving away these awards? I’m looking for a dedicated hosting co. for Magento. Our award winning detail base on the survey of our customers who used our services/products. You can see the detail in the blog post. If you looking for a dedicated hosting co. for magento who can provide you the stable/fast solution for big magento site, you can try Nexcess, they are the #1 in big magento solution. So your list only right in 2014? what are you base on to get this list? I always think Nexcess is the best! If your list is right, I believe the magento site will have the specify statistic traffic, not all of cases. We meet one of the big problem here with the way to choose the best hosting. 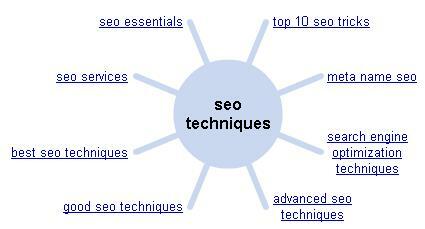 The best hosting can only be chosen base on the traffic and resource of website. I mean is the hosting package for the site is different from site to site base on it ‘s traffic. If I have the small site with 100 visits/day, it will different from site what get 10000 visits/day. In this case, do your choices different? You are welcome and we open for any comment. If you know how much $ a company have to pay for magento to join the partnership program, you will understand why our article is useful. Other than that, we help people choose the right option what save a lot of money in running and development, what we already meet in our development in the past. In the other hand, all of our options and risk free, people can choose, try and leave it if they think it is not good without paying any money. tom, why you think too hard. I think when a website with a good team like magento2x, if they publish an article, at least they already done the testing with a lot of research. Other than that, they are expert in this field. Follow their suggestion we have no risk but save much more time to do the research. Well, I don’t see Hostgator in this list. What wrong with that? I have a bad experience with hostgator, I don’t think they can host magento. 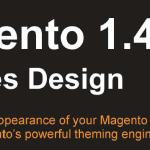 They even don’t have the hosting landing page to show more detail about magento. You are right, now I had the bad experience with them too. SiteGround is still the good one :). Thanks for a good review about good hosting from a very noisy hosting business right now. But after I choose SiteGround and then move my site to that. It ‘s faster a lot but not good enough. I think it must load in 4 secs. What do I wrong? You are welcome, Daiki. And yes, it ‘s almost load faster 4secs for SiteGround magento hosting in the case you already done the basic optimization for magento. At least CDN and minify. Actually, we need the server response time fast, it ‘s the first key value and that ‘s the reason why we choose this host but not other host. I would say yes for SiteGround what almost help my site load <= 2 secs. At a moment, I would say your top list is good to go. Of course, server response time is the most important. That ‘s the reason why we have to research many hosting plan to choose the right one. I think if you can get your site work <= 2 secs then you did a great job :). i like linode.com – at $20/mo you get dedicated server that you could setup the way you like with redis/varnish etc. Yes, if you are magento server expert then you should buy dedicated server or vps and do the configuration yourself. It look much cheaper but much more expensive since you have to pay time to configure, maintain and take care the risk. Let ‘s say the vps + one full time admin will be expensive much more than a managed hosting what is taken cared by a expert magento company. 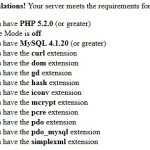 Yes, the best magento hosting can’t work well if you don’t configure it right. After moving, it should faster a little bit. Let ‘s install a full page cache extension like Zoom Full page cache, and then turn on the varnish proxy cache in cpanel and configure memcache for your magento site. It should faster a lot. It ‘s advance job, I think you shouldn’t touch to my.cnf file in OS until you know exactly what it is and how to control it. Thanks for a very detail review about hosting from your client base. I would like to say thank you to you and your team very much because of my company project what is faster a lot from your help. Your options are always right for everything relate to magento. Be honest, you guys are the best team I has ever known who expertise magento performance and system structure, everything come to you guys always take easy and perfect result. That ‘s cool and hope your team will growth soon so many people can enjoy the nice service. I think not too much change in 2015. The list is still like it ‘s on 2014. Not sure why you have a little change on 2015. You are right, CloudMaker. The top #1 position, they keep improve their service to get the best performance for magento. It ‘s very good since we got a very good one in magento industry. As always, SiteGround is still the best for me. So nice to see they can keep the nice job. I see it work nice for me too. But I want to make it even faster with varnish cache. Any idea? I host my site with siteground.comSiteGround: Quality-Crafted Hosting Services and I am totally satisfied. 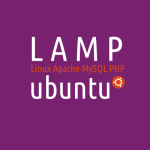 They migrated my site from my old hosting provider free of cost and that too within 5 hours. Their support is highly efficient and bang on! I got the response of my query within 30 mins! I did a lot of research and then went for Siteground because of customer support and economical plans they provide. Nexcess is getting really, really bad. Their support team has been messing up nearly every request. And their mod security rules block SO MANY THINGS (even after you white list your ip address) which is frustrating when you’re trying to work on a site and things just don’t work and you have to call them so they can ‘allow’ that action. In a recent incident they accidentally deleted my site while restoring a backup. The incompetence is staggering and they don’t seem to really care. Sorry to hear, we will talk to them about this. Maybe there are something misunderstand.